Jumpin' Jacks Toys range of kids flashcards help educate children by way of recognizing letters and their sounds as well as solving addition and subtraction equations. 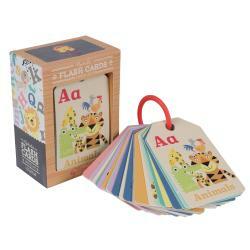 Alphabet flash cards help children develop memory and listening skills. Teaching your children problem solving from a young age through flash cards will help place them in good stead for the future. Buy childrens flashcards online at some of New Zealand's best prices. Write and Wipe Flash Cards are a fun way to develop visual literacy and numeracy skills in the ea..
Write and Wipe Flash Cards are a fun way to develop visual literacy and numeracy skills in the earl.. This is an awesome gift for any child - big or small! 10 pairs of brightly coloured cards featuring ..
Placemat shows addition tables from 1 to 12These placemats and are custom laminated, brightly colou..
Placemat shows subtraction tables from 1 to 12These placemats and are custom laminated, brightly co..